Surprisingly, there are times when making a mistake in a science experiment may lead to important and unexpected discoveries. This was the case with a Swedish experiment that was conducted in Uppsala University, Sweden, where a team of scientists forgot to shut down a device, leaving it operational for the weekend. The scientists were rushing to go home on a Friday evening and they forgot to shut down all the devices in the lab. 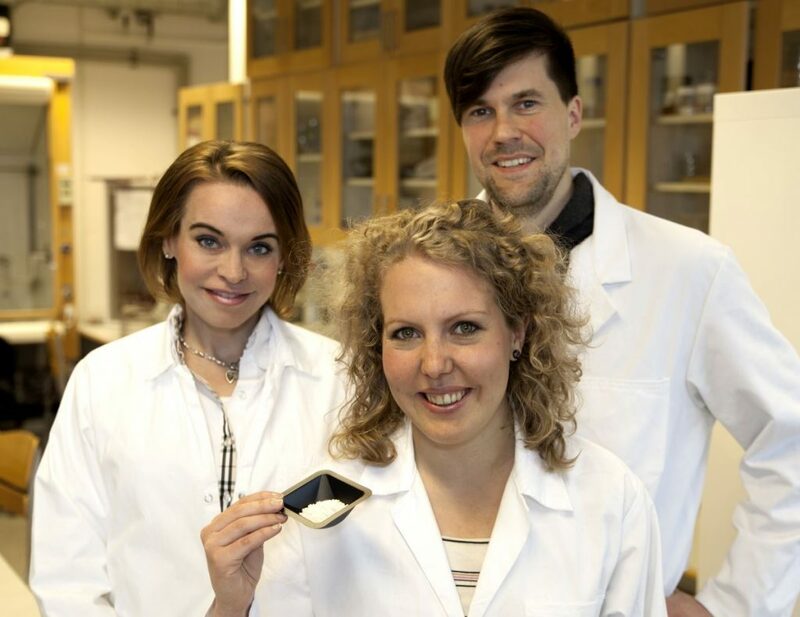 When they returned to work on Monday they realized that the device produced a new material, which they called upsalite, the “impossible material”. This was the accidental solution to a century-old chemistry problem, since chemists all over the world where trying for a long time to create a dry form of MgCO3. 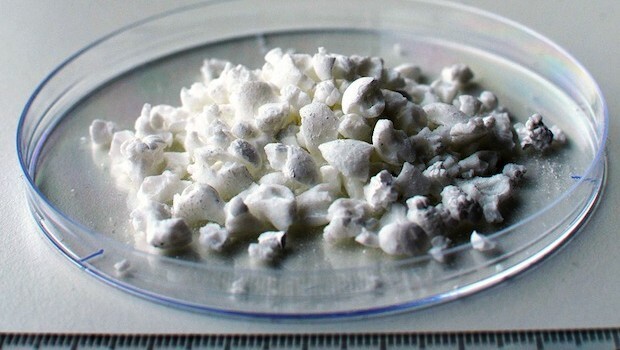 According to an article from their official website, upsalite has “record breaking surface area and water adsorption abilities.” The “impossible” material is scientifically called dry magnesium carbonate (MgCO3) and it looks just like white powder. It was obtained by adding magnesium oxide and carbon dioxide at three times the normal atmospheric pressure. The result was dissolved in methanol, resulting the pure dry MgCO3. This material is a desiccant, because it absorbs water better than other available materials (the hygroscopic zeolites). One gram of such substance is enough to cover an area of 800 square meters due to the tiny pores found in upsalite’s composition. This new discovered desiccant releases the absorbed water at lower temperatures compared to other zeolites, so it requires less energy to be reused. Upsalite can be used to remove moisture in various applications, in humidity control devices, to clean massive oil spills and it may also be used in electronic devices. The material is really easy to make, it’s not toxic to humans, it is cheap and it can be easily reused by heating it to 95 degrees Celsius. The entire study was publised in PlosOne magazine. According to Apple, your fingerprints are safe with Touch ID. But are they really?